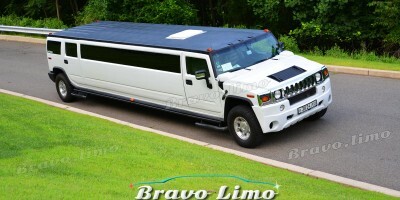 The exotic Double Axle Cadillac Escalade is the latest design in the Bravo limo range, and 18 passengers can he travel in comfort in this vehicle. The sleek, state of the art VIP area at the rear is for your enjoyment. This sophisticated vehicle boasts with good looks both inside and out, and the cool interior will keep you looking cool, calm and collected for your event. The exterior of the limousine has functional and durable chrome wheels to add to its elegant and classic look, and the vehicle, with its sleek, quality finishes, is available in a range of fascinating colors. The interior of the vehicle is amazing, and just some of the amazing features include, among others, bar area with complimentary drinks, LED and fiber optic lights and digital surround sound system. Everything is so lavish; and with the beautiful leather upholstery and disco floor and mirror star disco ceiling, you feel like a celebrity. With such style and form you would like your journey to never end. 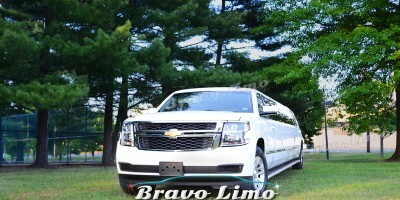 By calling Bravo Limo you can reserve your limo anywhere in the New York and New Jersey areas. Its plan and amplified power has prepared it most excellent well-matched for bulky celebration as well as events: live it a birthday, wedding or a club celebration. 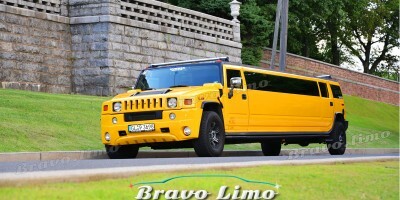 The limousine is moreover ideal intended for business events, sports events, particular celebrations, night resting on the city and every other limo carrying assistance additional consequently for any person seeing for lavishness, fashion individuality and soothe. customer’s security is a assurance; cause being with the intention of the expert chauffeurs plus the whole employees has been taught to make sure the occasion is a famous achievement furthermore preference to focus the customer needs. in the company of every part of these attribute, united by means of an skillful and polite staff, customers are left through a limo practice of a life span. Surely what you have seen on website is all that which you acquire. Furthermore, the charges are surprisingly flaxen and there is no hesitation that the stylish exotic double axle Cadillac Escalade Limo in New Jersey is that for which is everyone is searching.